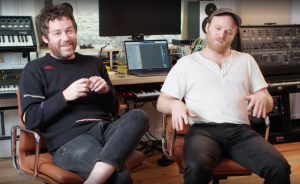 ‘Stranger Things’ composers Kyle Dixon and Michael Stein break down the show’s music with Vanity Fair. 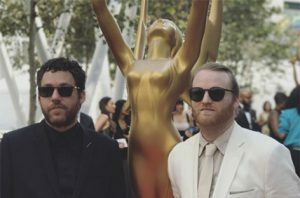 ‘Stranger Things’ composers Kyle Dixon and Michael Stein (of S U R V I V E) put together a “Summer Playlist” for MR PORTER readers and spoke about their unique sound. 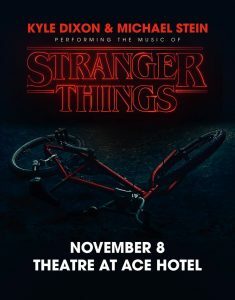 One week left, until Kyle Dixon & Michael Stein perform music of Stranger Things at The Theatre at Ace Hotel DTLA. Resident Advisor has all the details for the upcoming Stranger Things Season 2 Soundtrack by Kyle Dixon and Michael Stein. Watch the new season starting October 27th. 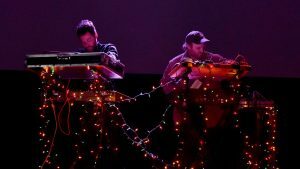 Catch them in concert in Los Angeles where Kyle Dixon & Michael Stein will perform music from Stranger Things. 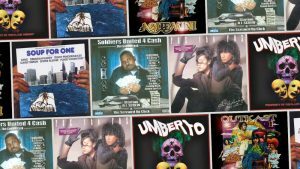 What Does It Take To Write A Hit TV Theme Song? 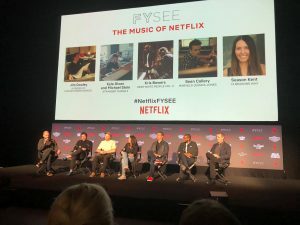 Read what Emmy Winners Kyle Dixon & Michael Stein (Stranger Things) have to say about writing a hit TV theme song in their interview with Tim Greiving from KUNC.org. 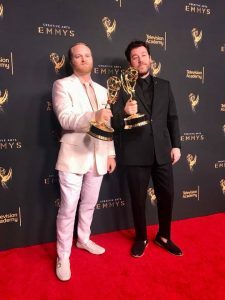 Congrats to Kyle Dixon & Michael Stein on their Primetime Emmy Award for Outstanding Main Title Theme Music for Stranger Things. 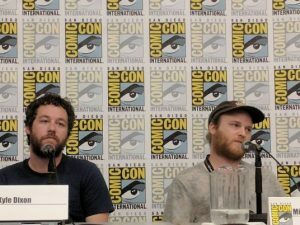 Bleeding Cool recap of the White Bear PR Panel “Music On TV” with Kyle Dixon & Michael Stein (Stranger Things), Dave Porter (Preacher), ESKMO (13 Reasons Why) and Nathalie Bonin (Hyp-Gags de Messmer) at Comic-Con International. 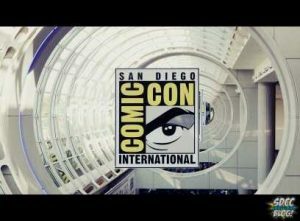 White Bear PR’s panel Comic-Con 2017: Music For Popular TV at Comic-Con International was featured in The San Diego Comic-Con Unofficial Blog. 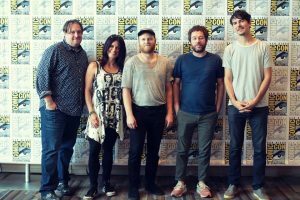 Join the panel and meet Dave Porter (Preacher), Kyle Dixon & Michael Stein (Stranger Things), ESKMO (13 Reasons Why) and music supervisor Maggie Phillips (Legion).